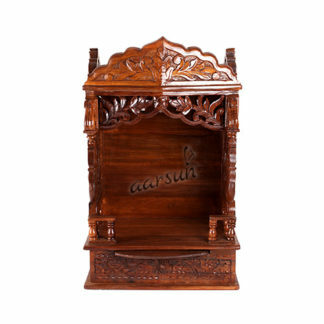 The temple is mounted on circular piers and above that there are two carved drawers along with sliding tray for placing puja essentials. 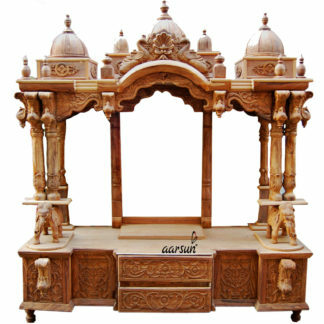 Above that there is main place for the deity where you can place your idols and worship them.Rising to the roof of the temple there is a garland area where beautiful carving is done by our skilled artisans and above that there is garland area at the top of the roof. Gopuram style dome placed over at the top of the roof.